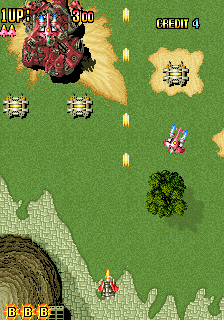 Wing Force © 1993 Atlus Company, Limited. Horizontal scrolling shoot'em up. Destroy the conspiracy with 4 types of wings! This game was never released, only it showed in a Japanese publications and a official Flyer of the game.